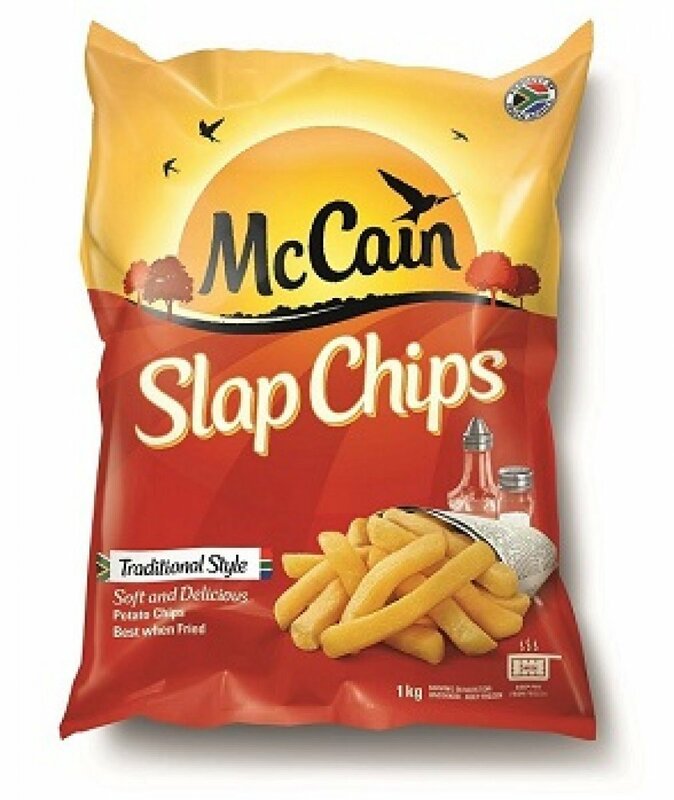 South Africans are keen consumers of potato chips. But consumers are often not aware of the different types of chips available for them to enjoy. 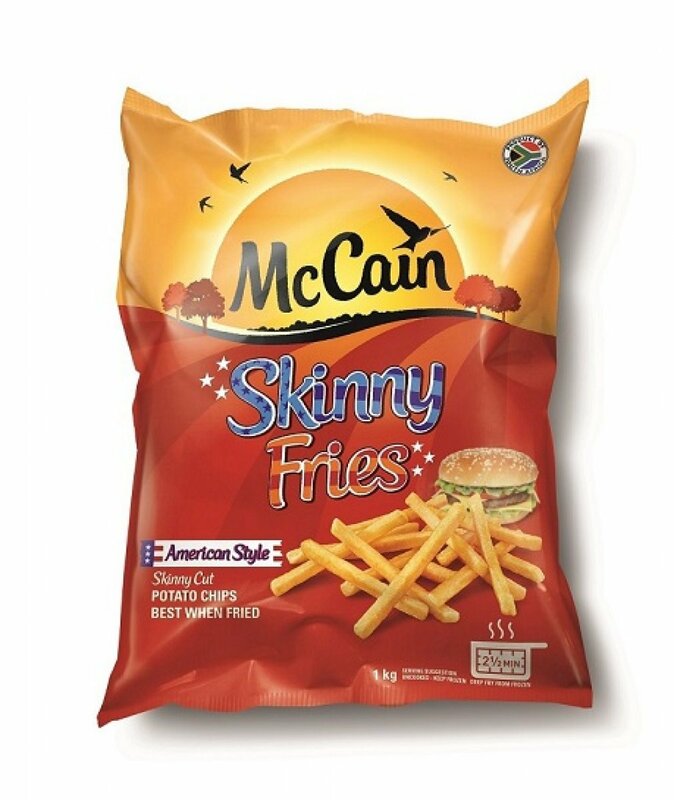 Potato chips come in many different forms, skinny fry chips, slap chips, oven baked chips and even potato wedges which makes for a great addition to any meal. 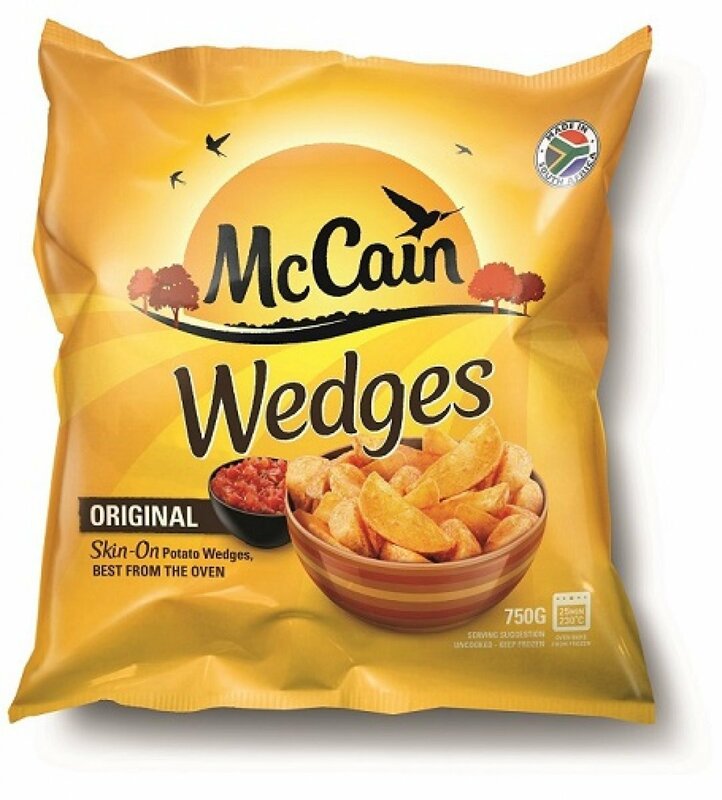 ‘’McCain is South Africa’s number 1 frozen food supplier and because of this we have a good understanding of which potatoes will offer the best results for consumer’s needs. We work very closely with farmers to ensure the best farm-fresh potatoes for our products all year round” says Japie Engelbrecht, Potato Supply Manager at McCain. 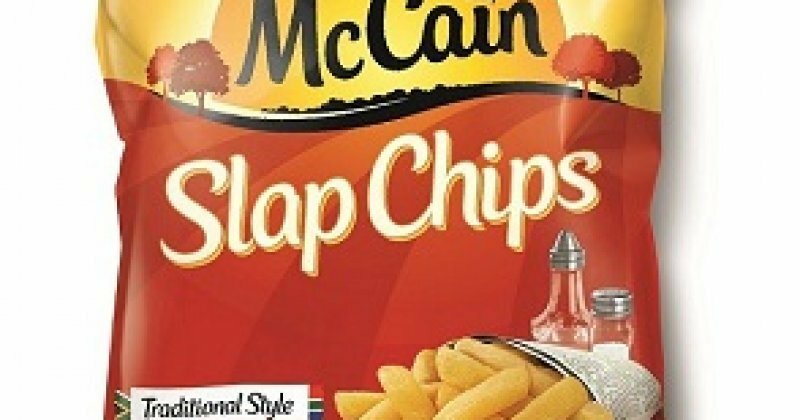 It is with International Potato Chip Day (14 March 2015) in mind that McCain would like to inform potato chip fans that a potato is not a potato is not a potato. According to Engelbrecht, “Almost 2.2 million tons of potatoes are produced annually in 16 geographical areas within South Africa, with the bulk of all potatoes being harvested in the Western Free State and Limpopo. ¹There are numerous cultivars with different growth habits and periods as well as eating quality. Diverse cultivars will result in potatoes with different colours, textures and flavours. ¹ As touched on above, potatoes are a bio-diverse crop that often delivers a non-uniform product. In order to assist consumers in using a suitable choice of cultivar that will perform according to their expectations there is a potato classification system which is used to categorise potatoes according to their eating quality. The categories included in this system focus on: boiling, roasting, frying, chipping (oven bake), microwave, mash etc. 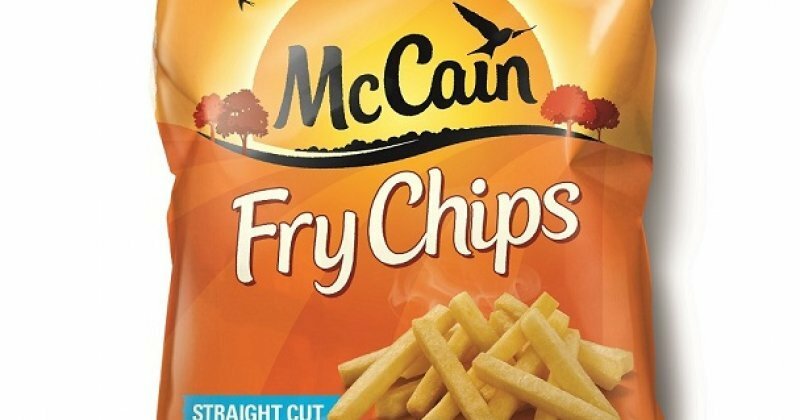 Only the best farm-fresh potatoes are selected to produce McCain potato products. 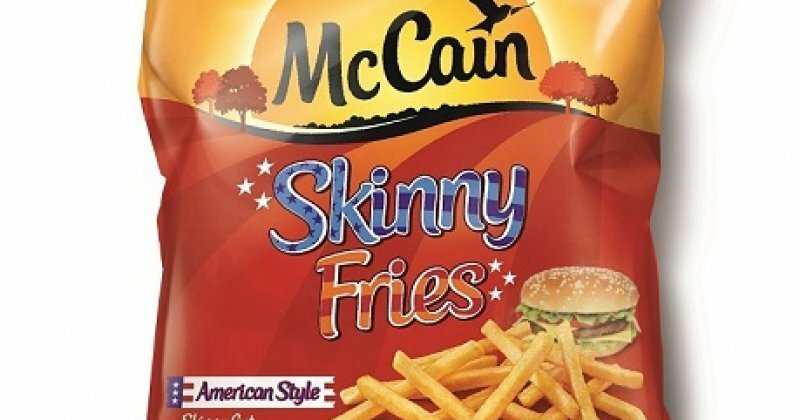 “At McCain, vegetables and potatoes are frozen just hours after harvesting in order to lock in the nutrition. 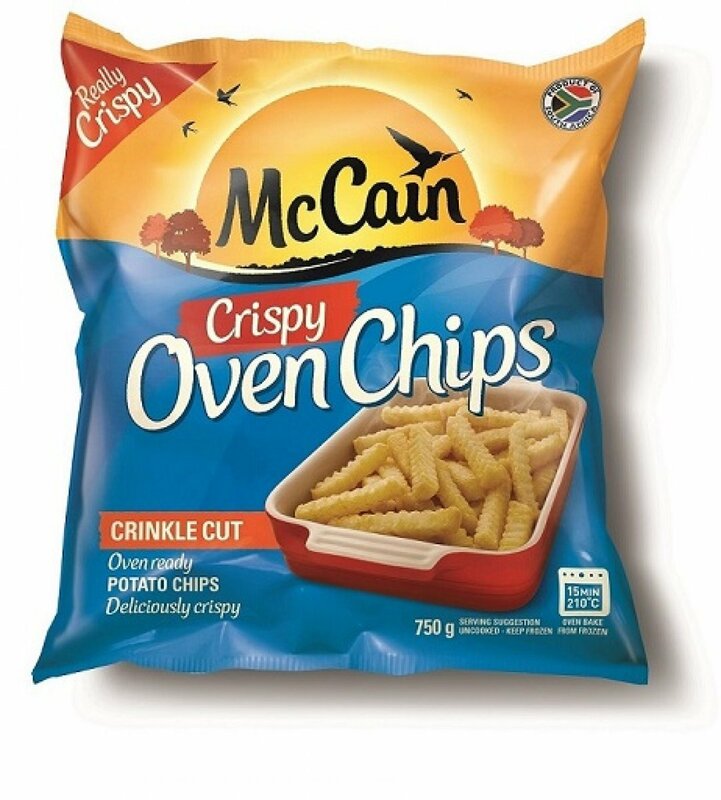 Consumers can be rest assured that by choosing from McCain’s range of products they are getting the nutrition needed for a healthier lifestyle and will also allow them to always be prepared for weekday dinners and weekend gatherings with family and friends,” says Engelbrecht. Spotong brings you the lowdown on potatoes and a delicious recipe to please your customers. 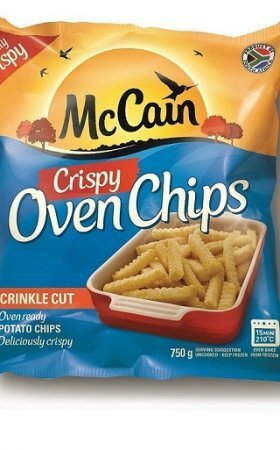 The McCain team has worked hand in hand with its trusted farmers to ensure that consumers have the best potato cultivar to fry, roast or bake in the oven – McCain takes care of the taste, colour and texture. 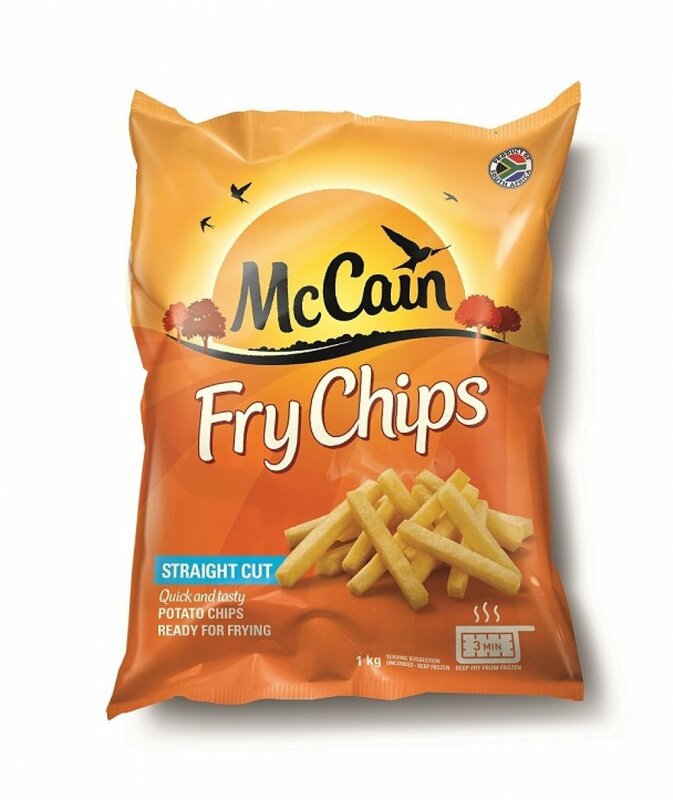 The McCain frozen potato range consists of Fry Chips, Slap Chips, Skinny Fries, Oven Chips, Wedges, and Roast Potato. 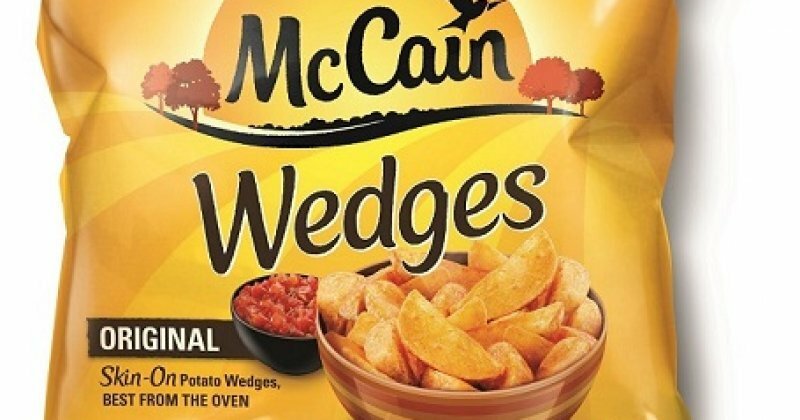 McCains’ range of frozen potato chips allows everyone to enjoy the freshness and goodness of real potatoes in their homes in a matter of minutes. It’s all good – from farm to fork. A Milk Stout has many versatile characteristics which make it the ideal beer to use when cooking. 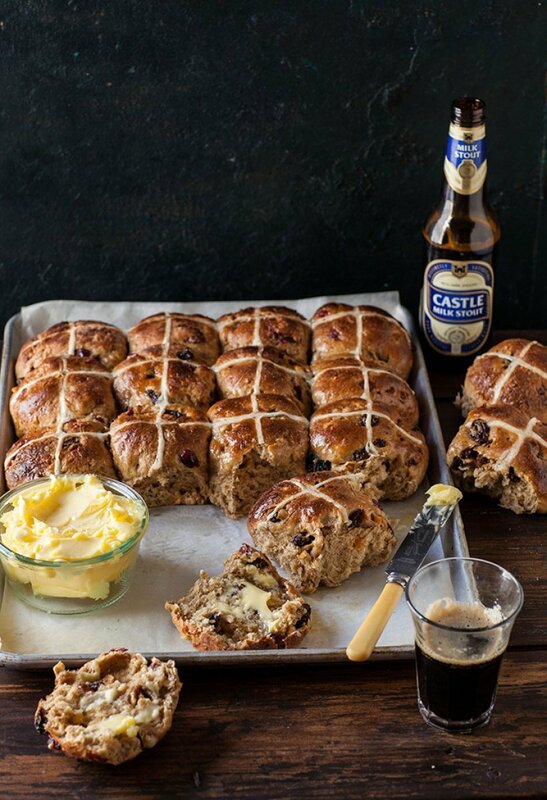 One such innovative idea can be seen in food stylist and Drizzle and Dip blogger Sam Linsell’s version of a fruit bun, using South Africa’s leading milk stout brand as her secret ingredient. “Castle Milk Stout is made from quality dark roasted malt and is matured for longer to give it a rich, smooth and satisfying taste experience. Full-bodied and creamy with low levels of carbonation, this makes it the perfect match for food and also to be used in cooking,” says Julian Remba, the brand’s general manager. 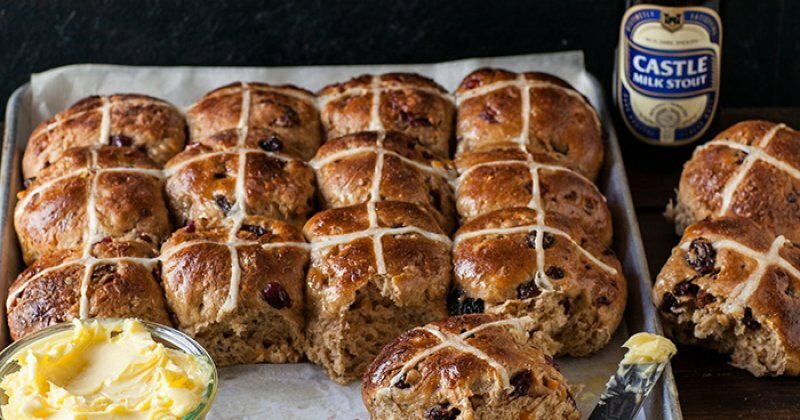 These delicious and spicy fruit buns are so easy to make that Linsell says you won’t ever buy them again. This recipe makes 16 – 18 buns, but any excess can be frozen. Prepare the mix the night before by mixing the stout, spices, yeast and 320g of the flour in a large bowl. Mix to combine everything and leave uncovered. Brew a strong cup of tea in 250ml boiling water and pour this over the raisins, dried cranberries, peel and apricots in a separate bowl. The following day, mix the egg and melted butter with the fruit, and then stir this into this into beer and spice batter. Add the remaining 550g flour, sugar and salt. Tip this onto a work surface and briefly knead to form a large ball. Leave for 10 minutes. Lightly oil your hands and knead the dough for 10 seconds, leave for 10 minutes, then repeat twice more at 10-minute intervals, then leave for an hour covered with a tea towel in a warm spot. Using a bread cutter or sharp knife, divide the dough into 100g pieces (use a scale to make this easier) and shape into balls. Arrange these on a large baking tray lined with baking paper so they are just touching each other. Cover with a tea towel and place in a warm spot for 90 minutes. Pre heat the oven before the proving has finished. Mix a little flour with water to form a runny paste consistency (use and electric whisk to get this smooth if necessary). Place in a plastic piping bag and cut a very small edge off the tip. Pipe crosses on each ball of dough. Bake at 200C (180C fan-assisted) for 25 minutes. Mix 2 tablespoons of caster sugar with 2 tablespoons of water and brush this over the buns as they come out the oven. Serve with lashings of butter.